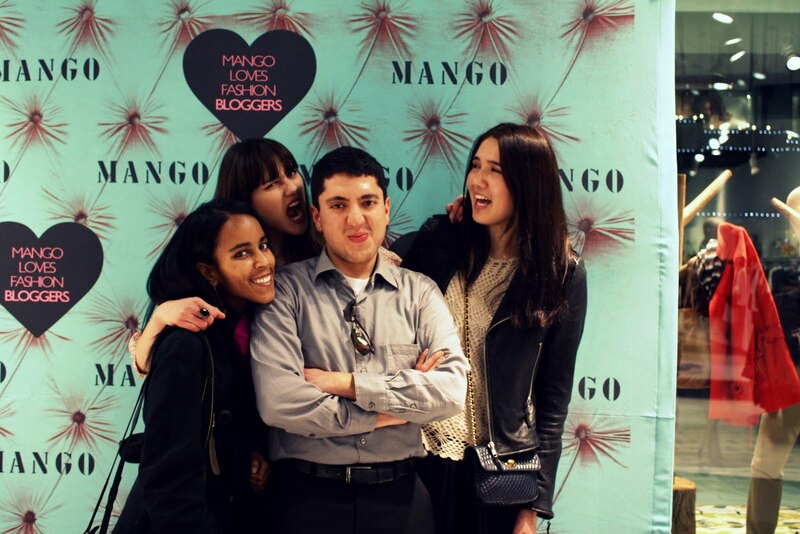 DYLANA / SUAREZ: Party at the Mango Event! 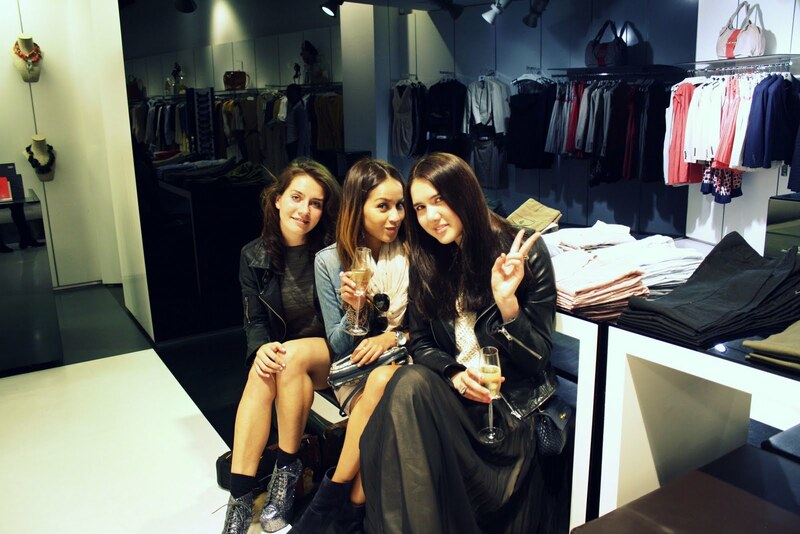 Party at the Mango Event! 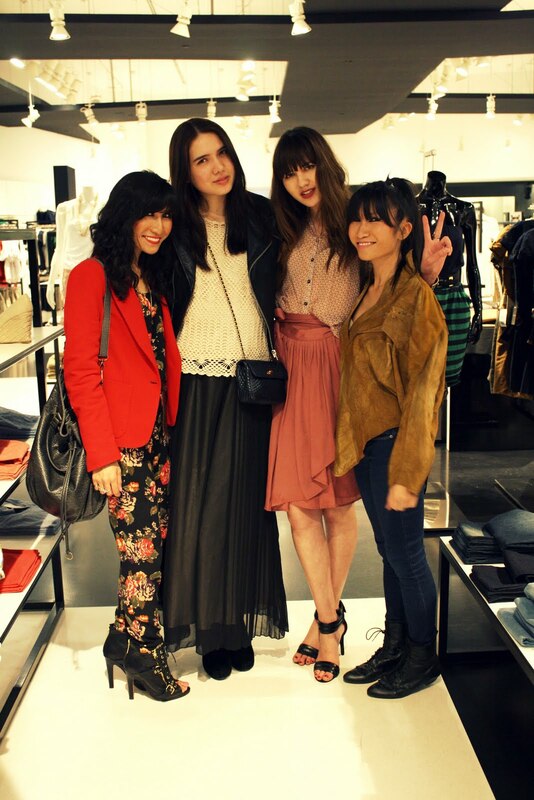 Pictures from the Mango Loves Fashion Bloggers event that my sister hosted in Santa Monica on Friday. Wearing my go-to True Religion jacket, an H&M maxi skirt, a Bally purse, and a crocheted top I picked up for $2 at Thrift Town in San Francisco. I was so happy that I got the chance to see all my favorite people that I've met through blogging, talk to fans, and make new friends all in one place! Natalie was working it around the store and styling customers and friends with the cameras following her every move! She even sang two songs at the end of the night! I'm so proud of my baby sis! I spent the whole night mingling and laughing . . . it was seriously one big blogger party. I couldn't have asked for a better time! After the event, my friends and I went on a hunt for some grub and ended up stuffing ourselves with carbs at Buca di Beppo. Good times for sure! 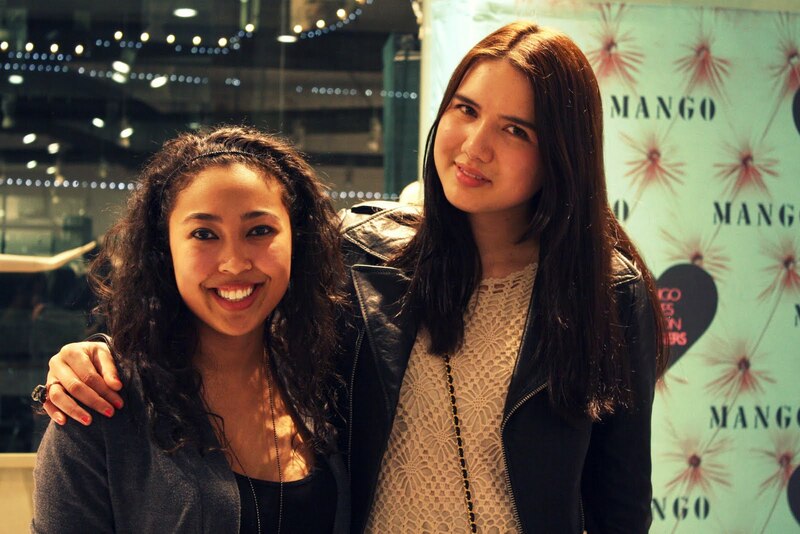 I laughed so much that night with my girls Mckenzie from The Fitting and Jules from Sincerely Jules! And with my favorite twinsies, Rebecca from Style With Benefits and Melanie from Wrecked Stellar. I always have THE BEST time with these girls! 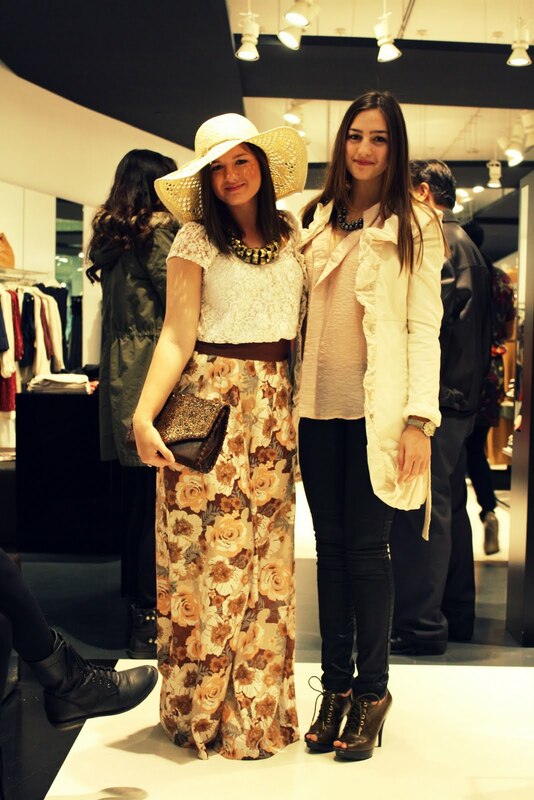 The two most gorgeous and sweetest sisters around , Beatrice from Beatrice Balaj and Eunicia from MyBrunetteWorld. I looooooved talking to these girls! Eunicia is only 15 and so smart and chic. I wish I was this cool when I was 15! Me and Mckenzie posing and being cool. Mckenzie totally works those Litas like no other! So wonderful meeting the gorgeous Jenna from The Freckled Husky who came down all the way from Orange County to gift Natalie, Jules, and I her beautiful handmade stone rings! With the lovely Chandamheer from PancakeSTACKER. It was such a pleasure to talk to this girl (we are both UCLA graduates, too!). I hope to see her again someday soon! To see more pics from this event, visit my sister's blog here! how many beautiful pictures! You look really good, loving the pleated skirt! wow, it looks like you girls had a good time! everyone looks amazing. Sure looks like good times - I wish I could have gone! Ahhhhh Looks like you had a blast!!!! That is sooo cool:D All of the bloggers are fabulous and its so awesome to see a fellow 15 year old lovin fashion so much! wow everyone dressed their best! there's always that one mess, but not at this event! looks like it was so much fun, and i couldn't even tell you how many clothing pieces i adore that you and everyone is wearing! wow, you all look amazing! nice pictures. Que genial, se nota que se divirtieron. This looks like an amazing event! Wish I could be there... You and your sister look gorgeous! Looks like so much fun, I wish I was there!!! You are so cute with Natalie on the first photo! I love your maxi skirt! You and Natalie both look so lovely. Glad the event was such a success and so much fun! wowwwwwww.... it's funy to see our spanish firm so in fashion in your country! the party seems to be fun! It looks like a lot of fun AND you look all beautiful! wonderful photos <3 this looked like a fantastic event!! Some great looks ! Looks like you had a great time ! you and your sister are for me like Olsens twins! I love your style! everyone looks great! thanks for sharing these! you and your sister looks gorgeous! great photos and so many stylish people! looks like an amazing event, i love your sisters skirt! Looking super pretty! i love the crochet top. looks like you girls had lots of fun. Love Shea's friend's skirt. Fabulous. You too! and your sis. I love you guys together. Great post! Everyone looks amazing. Love your outfit and the skirt your sister got from Mango. Ha..Loving the sister love, you girls are so cute! Looks like it was a really fun event. Great pictures and I love your outfits! Dylana! I am so glad that we were finally able to hangout at this event, I had such an amazing time. Thank you for being so sweet and introducing me to all of your awesome friends. I'm so glad we all got to spend the weekend together, it was so much fun! I can't wait to get together again soooooooonnn! Both you and your sister are so lovely! amazing photos! it looks so fun!! U guys are too cute!! my gosh!!! very nice photos! Love what your and your sis are wearing!!! I wish I can be there! love you blog. Instant following you!! the event looked amazing! such lovely outfits!! Adorei o seu post, muito lindo! Hey girl, had so much fun with you and your sister Natalie. You girls are the sweetest things ever! I don't have a twitter but we def should do this again :). THE ELITE OF FASHION BLOGGERS AND LOOOKING GOOOOOD! Reaaaally nice outfits and it looks like you had fab time. Stylish sisters!!!! and so beautifuls too! amazing pics dear! It's always a pleasure check out your blog! o how i wish i could have been there! or better yet, i wish we had mango in seattle! you look super lovely! i love the black maxi skirt paired with the jacket. Great outfit! I've become obsessed with maxi skirts lately. They work so well with layering! looks like a really amazing night! your outfit is really amazing, love so much the skirt! HOw I wish to join the crowd! meeting u and natalie, listen to natalie's lullaby! OMG I need this to be held in singapore! It was so great to finally meet you all in person! I had such a great time at the event :) Definitely can't wait to meet up again! Let me know when you make a trip back up to San Francisco!! you and Natalie are so tall! and you both are so beautiful, I swear. I totally love your long skirt! ps. I would like to invite you to the first giveaway on my blog. this looks like such a fab event and both you and Natalie are stunners! This looks like so much fun! Great pics, I love your long skirt.